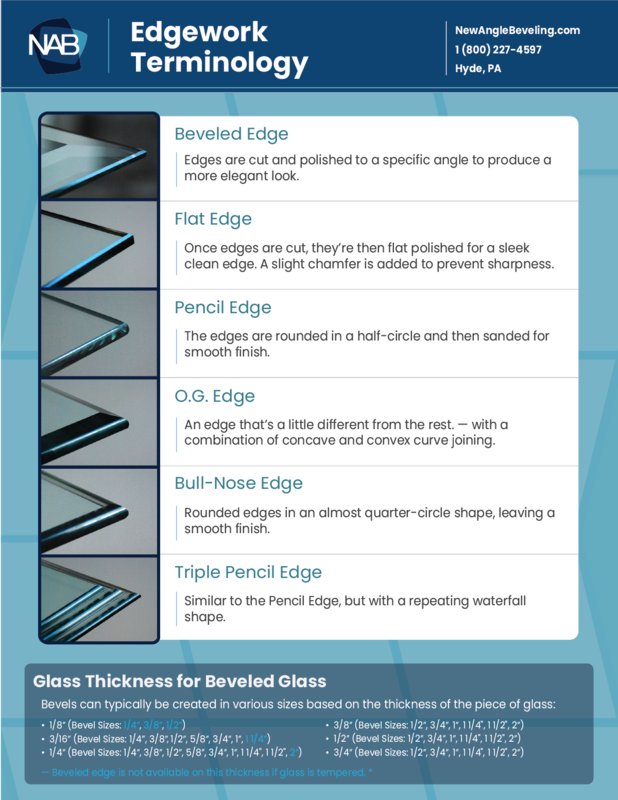 Edgework Terminology Print Out Guide. This one-page print out is your handy new guide to ordering edgework with New Angle Beveling. Browse types of edgework cuts available. See what they could look like for your design. Get a detailed description of the cuts and their differences. Just fill out the form on the right!